In the pantheon of perfect tacos (indeed, that’s a big group), the coveted Baja fish taco has earned its rightful spot. 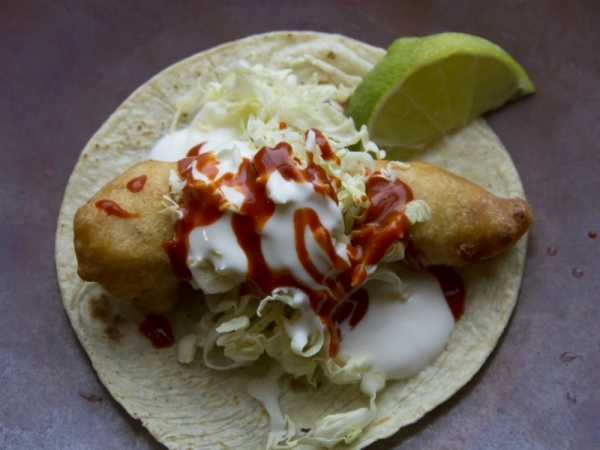 Now, you could argue that fish tacos don’t exactly qualify as comfort food, yet something about each bite of that golden, crispy fish — enhanced by tangy hot sauce, cooling, creamy mayo and a toothsome cabbage crunch — just triggers in me a deep-rooted, immense pleasure. To those balking at the idea of frying in your home kitchen, I say fear not — these tacos are totally worth it. And yes, you can totally pull it off on a weeknight. Tacos de Pescado "Clasicos de Ensenada"
Finely chop the garlic, sprinkle generously with salt, then mash back and forth with the side of your knife across your cutting board until crushed to a puree. Scrape into a medium bowl and add the oregano, black pepper, mustard, base or bouillon, beer or water, and 1/2 teaspoon salt. Add the flour and baking powder to the wet ingredients and whisk just until combined. Heat the oil in a heavy skillet to 370 degrees. While the oil is heating, cut the fish into pieces about 3 inches long by 1/2 inch square. Use a pair of tongs to pick up a piece of fish, dip it completely into the batter, and lay it into the oil. Continue with a few more pieces of fish, filling the hot oil with an uncrowded layer. Fry, turning the pieces regularly, until deep golden and crisp, about 4 minutes. Drain on paper towels and keep warm in a low oven on a wire rack set over a sheet pan while you fry the rest of the fish. 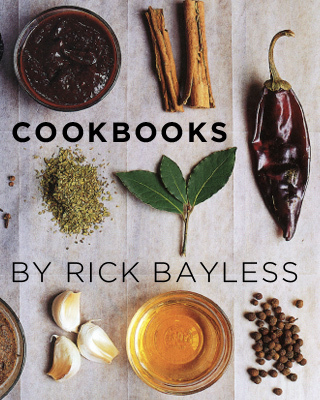 Love all your recipes,even made pork tamales from ur cook book! Almost like mama’s … & I don’t have her recipe! Her parents had a Mex. restaurant in Bastrop,Texas over a hundred years ago!